What do you think about when you hear #climatechange? 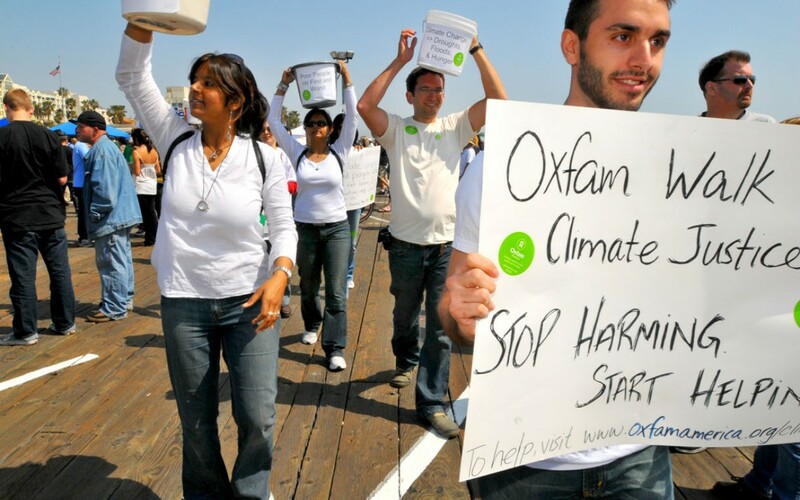 “When we start discussing who is affected by it, we can also start discussing solutions.” In honor of Earth Day earlier this week, Oxfam Action Corps volunteer Megan Nakra organized a Twitter chat on climate change, poverty, and hunger. Check out on the conversation below, along with Nakra’s explanation of what inspired her, then add your thoughts using the hashtag #OxfamEarth. I thought of hosting a Tweet Chat for Earth Day to get our Action Corps members, Oxfam supporters, and our allies thinking about climate. When we start discussing what stems climate change, who is affected by it, and who is responsible, we can start discussing solutions. I have never seen so much in the news about climate, whether from the IPCC, Washington Post, New York Times, Mother Jones, grist.org or other news sources. The realities of environmental stress can be felt here in the US, not just in poor countries where we watch events unfold over media. Starting a conversation, to educate and engage people, allows us to empower people (and ourselves as advocates) to act! And to act as one.